Now, you see that sandbag leaning against the tripod? 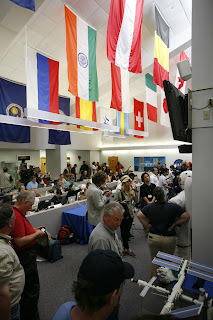 NASA actually requires that all cameras inside the perimeter fence have to be tethered to stakes in the ground, and weighed down by sandbags. 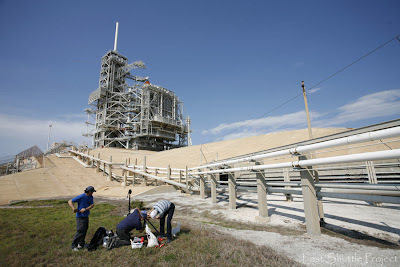 But word quickly spread Thursday morning that NASA couldn't find any of their sandbags! So all the different camera crews were stuck waiting for them to figure out what to do. We didn't want to take any chances, so we actually drove to a hardware store, bought empty sandbags and a shovel, and made our own. 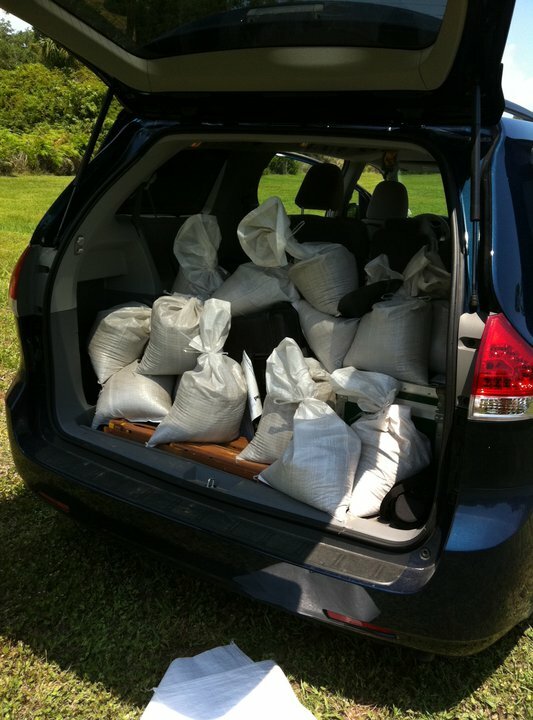 We drove around until we luckily "found" some sand behind a church and um... borrowed it. The van was riding pretty low with all the weight, but it solved our problem. Here's our crew notes video after the final camera was in place! Despite the first family being here to see Endeavor, the launch had to be scrubbed because of an equipment problem. 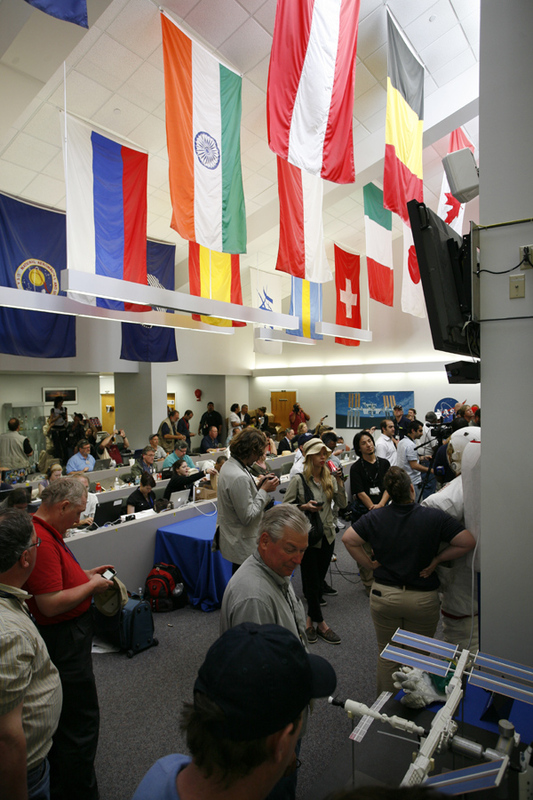 This is what the NASA Press Room looks like when we're all trying to find out what is happening next.